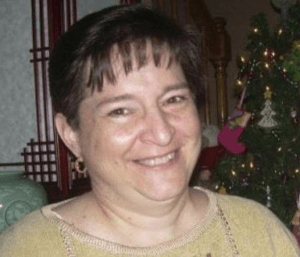 Grafton – Joan M. (Gessner) Johnson, 57, passed away Feb. 22, 2019 at Rose Monahan Hospice Home in Worcester following complications from cancer. She leaves her husband of 34 years, Raymond Johnson; her children, Brian and Nicole Johnson; her father, John Gessner; sisters Catherine Gessner and Deborah Brown; and several beloved nieces and nephews. She was predeceased by her mother, Dorothy Libby, and brother, James Gessner. Joan was born June 21, 1961 in Boston. She spent the majority of her life in Grafton. She had the biggest heart of anyone her family has ever known. She has rescued and been there to help more souls in need than they can count. She opened her heart and her home to anyone that needed a meal, place to crash or a quick shower, not always without a lecture, but that was a small price to pay for her generosity. She was always happiest at home with her family close by. All are welcome to gather with Joan’s family Wednesday, Feb. 27. from 4-7 p.m., at Roney Funeral Home, 152 Worcester St., North Grafton. Her funeral Mass will be celebrated Thursday, Feb. 28, at 11 a.m., at St. James Church, 89 Main St., South Grafton. She will then be laid to rest at Pine Grove Cemetery in North Grafton. Please honor Joan in lieu of flowers with a donation to VNA Hospice and Palliative Care, 120 Thomas St., Worcester, MA 01608. A Book of Memories to share a memory of Joan or message of sympathy with her family is available online at www.RoneyFuneralHome.com.